Just over two years ago, thanks to the online free compilation album that Brutiful released I became familiar with Northern Irish band Bakken who had the song 'Fortress Of Evil' included. I duly got hold of the debut album 'Death Of A Hero' (2012) which was a cracking mix of Traditional Metal & NWOBHM, bought my T-Shirt and for a brief time was even the T-Shirt model on the bands website (they must have been mad) and now I'm delighted to be listening to their latest EP 'Worldwide Genocide' which was released last October! 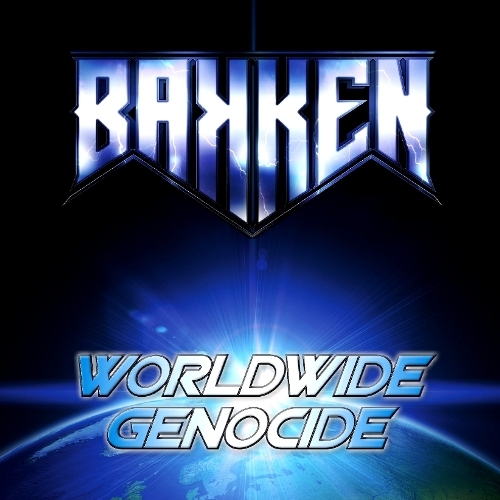 'Worldwide Genocide' sees a slight shift in musical style, but still incorporates everything I really like about Bakken! This EP contains five tracks of 'almost' Power Metal mixed with some Thrash and the two bands that spring to mind when listening to it are Rage & Megadeth which in my book is no bad thing at all. Vocalist & Guitarist Simon Pickett definitely has a voice, on this EP at least, that reminds me of Peavy Wagner and Dave Mustaine and it's a great mix. Second Guitarist Mark-Anthony McGinnis (who sadly had just departed from the Bakken ranks) complements Simon perfectly and a thoroughly convincing double act they made with the soloing being of very high quality! That can also be said of Niall McGrotty on drums and Adrian Stockman on bass, the four of them make a very solid and tight team! When I first heard these tracks I found them to be not as immediate as the debut album but this EP is a definite grower. I've listened to 'Worldwide Genocide' a good few times now and after 4-5 listens the likes of 'Master Illusion', 'Evil Walks This Way' and 'Gaia' burrow into your subconscious and they continue to develop and grow. Melodies and hooks that you don't notice at first suddenly pop out of the ether and intrigue you! Production reminds me slightly of the '...And Justice For All' album by Metallica, albeit a production where the bass can be heard perfectly and the drums don't sound like biscuit tins. It's a clean, dry production, which I found a little odd at first, but once again it grows on you! Overall then I think this is a definite move forward for Bakken. They have a very loyal following in Northern Ireland and they have had some very good support slots out there which proves their pedigree. 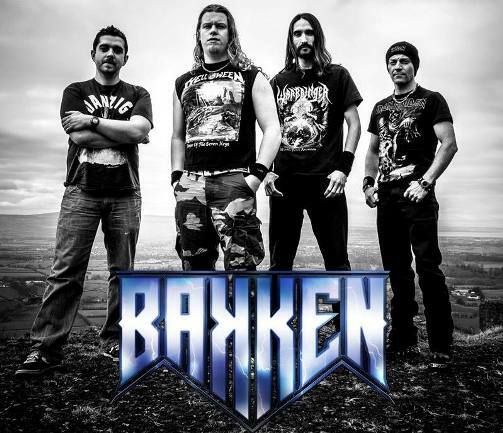 I assume, with the loss of a long time band member, that they will take stock and look for a suitable replacement in the coming weeks and months but that is something they have to do because Bakken are very worthy of your attention and it would be a big shame to see anything go wrong at this point in their careers!